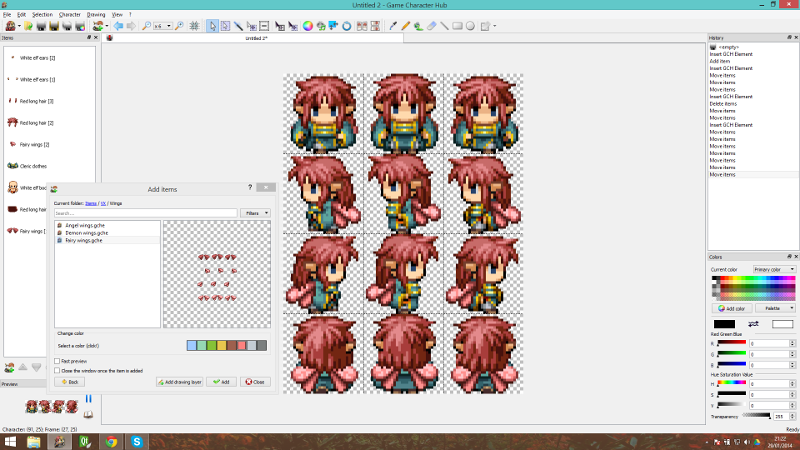 Game Character Hub | RPG Maker | Create Your Own Game! 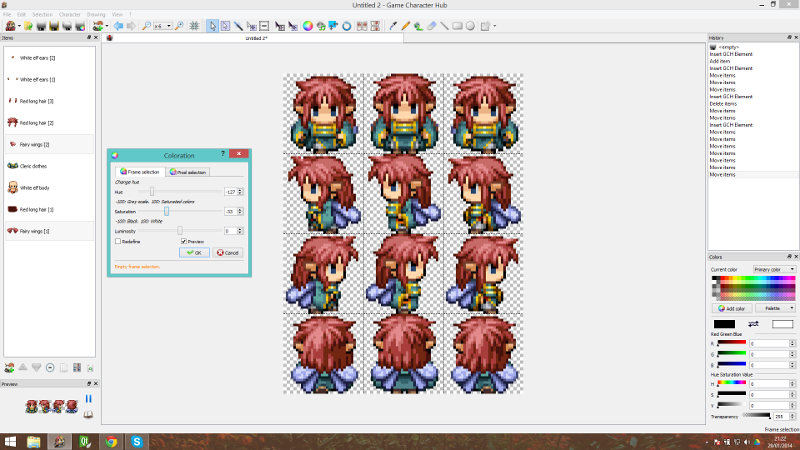 Game Character Hub is the ultimate program for creating and editing 2D game assets. 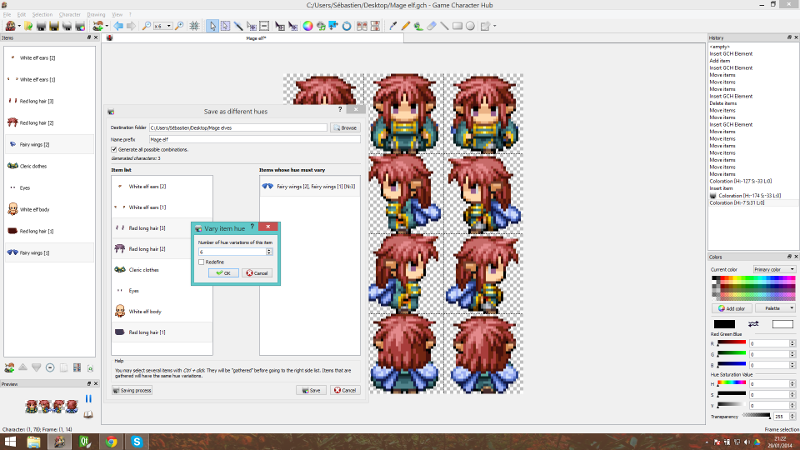 It provides a built-in generator for character and tileset creation. 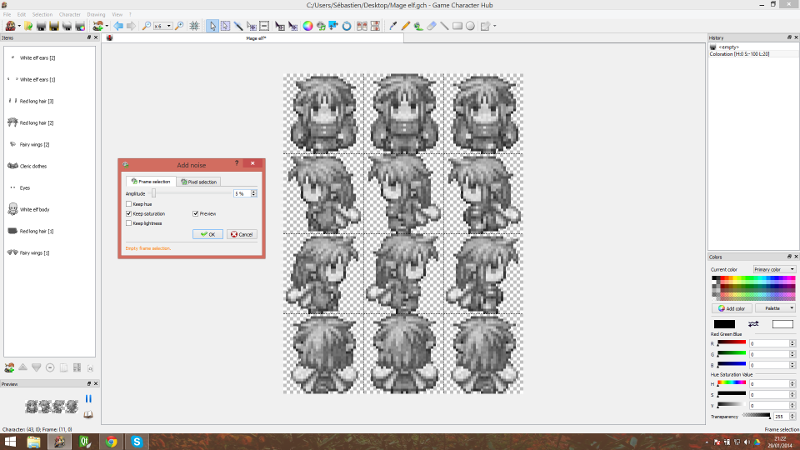 The program was designed specifically to be compatible with RPG Maker XP, VX and VX Ace, and the elements found in the program work with other 2D game engines as well. 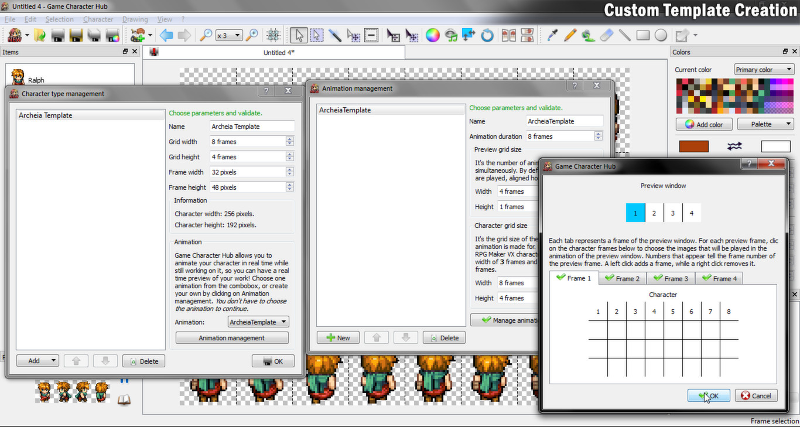 With Game Character Hub, you can easily create characters by choosing generator parts provided in the program. Simply select a template, add items and you're done! You can also create your own custom templates and parts. 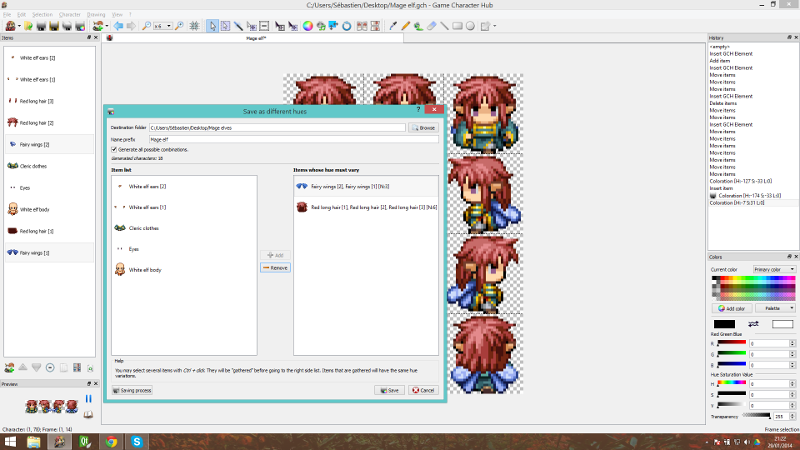 Note that almost the same logic applies to tilesets, so it doesn't necessarily need to be characters! 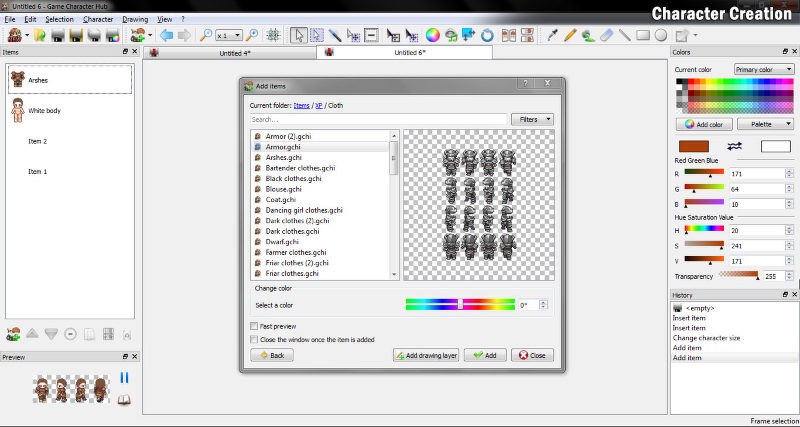 With Game Character Hub's flexible layering, you can easily customize parts according to your needs; such as changing the opacity, renaming, merging and deleting parts to name a few. 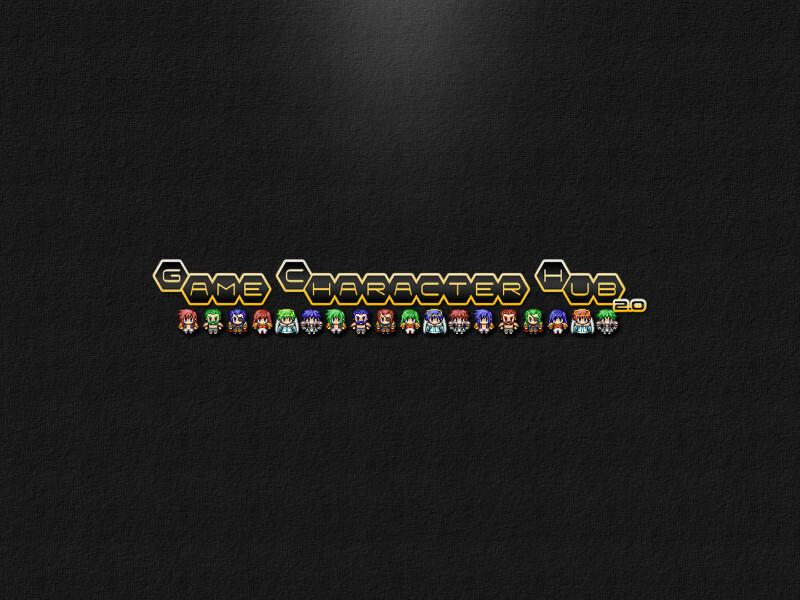 Game Character Hub's Preview window lets you see whats going on without having to stop what you're doing! 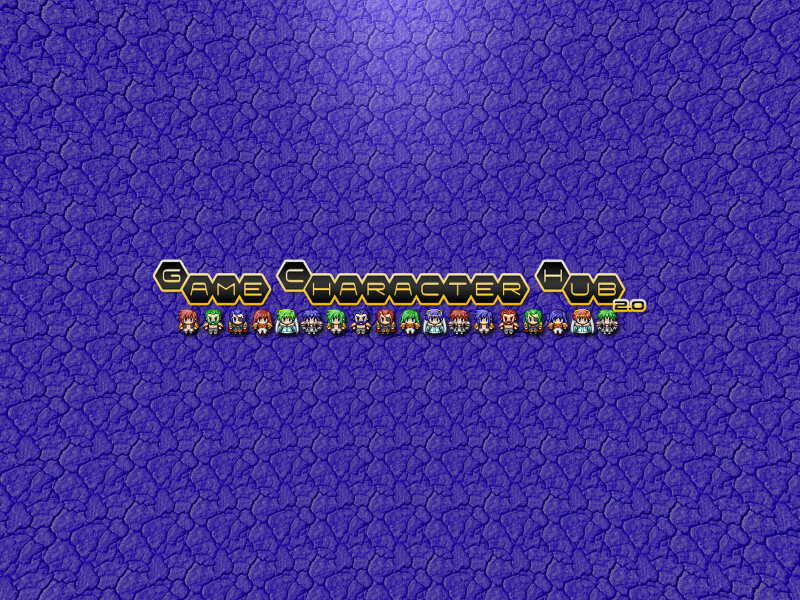 You can pause the animation and change different settings such as the animation speed, background color and even zoom! 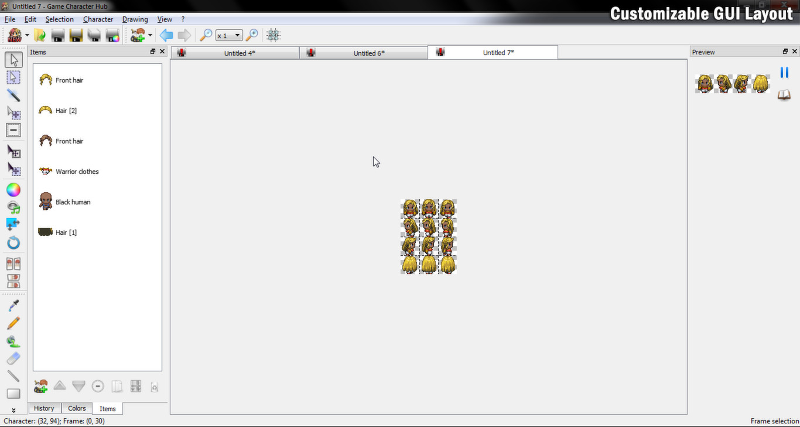 You can also set custom animation previews with the Animation Management feature. 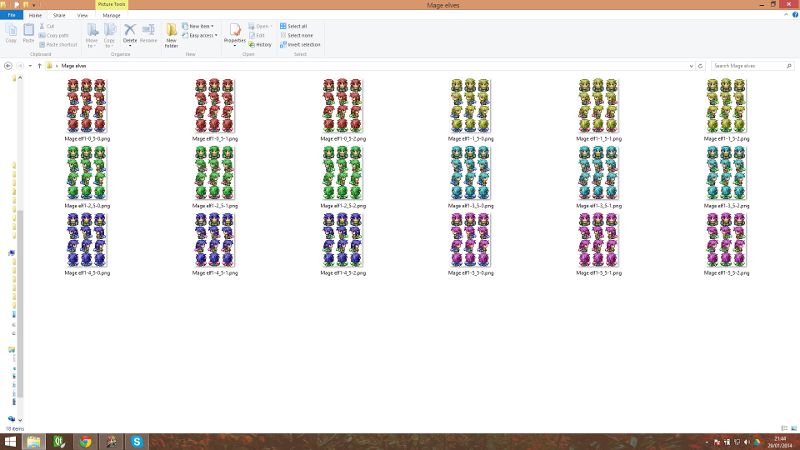 Useful if you want to see if your Autotiles or Behaviour poses seamlessly transition to one another! 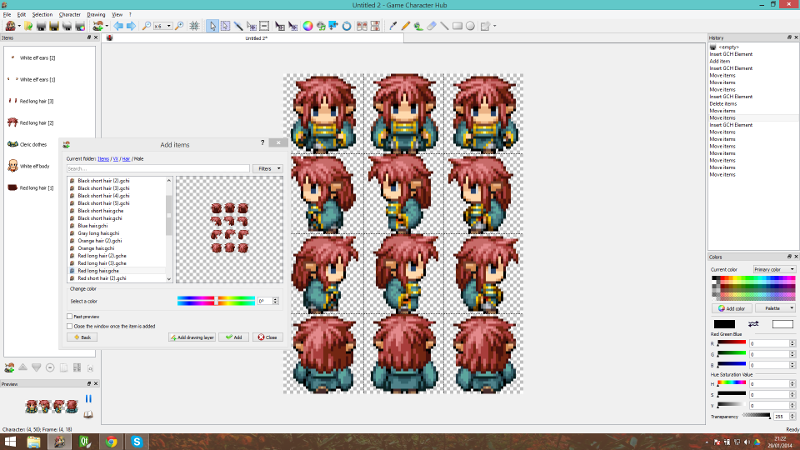 With Game Character Hub's palette editor, it's easier for you to create your own palettes and change values. 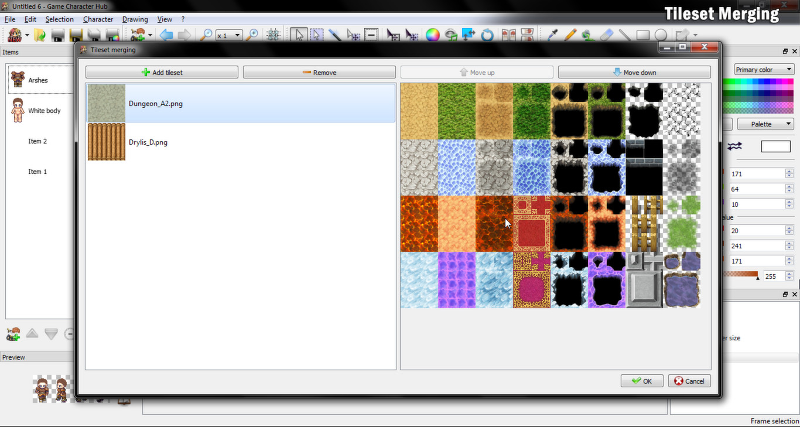 What's more is that you can generate palette colors from all visible layers or specific ones. Great for finding the colors you need! 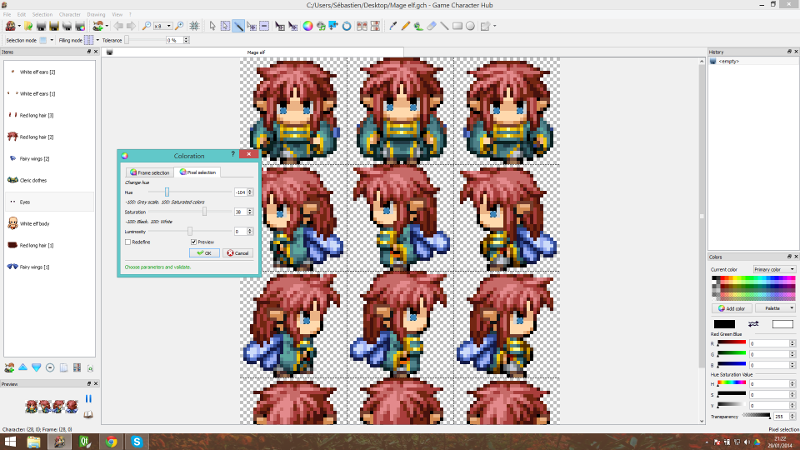 Tired of manually merging tile sheets on your own? 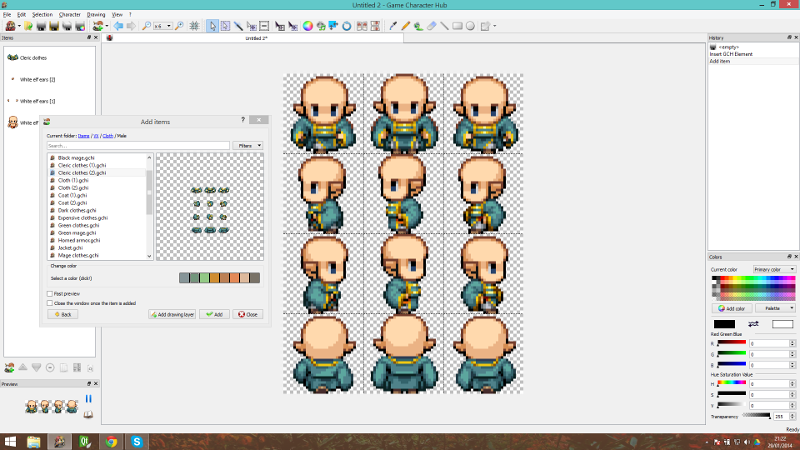 Game Character Hub has a built-in tileset merger to save you the work! 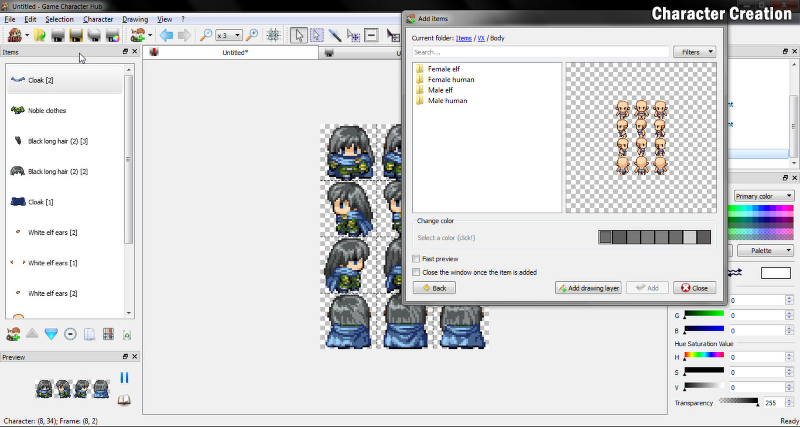 Game Character Hub allows you to easily convert your character assets for different RPG Maker engines. Support for sales as well as technical issues. Visa, MasterCard, American Express, and PayPal accepted. Please note that this product is currently only available through Steam.